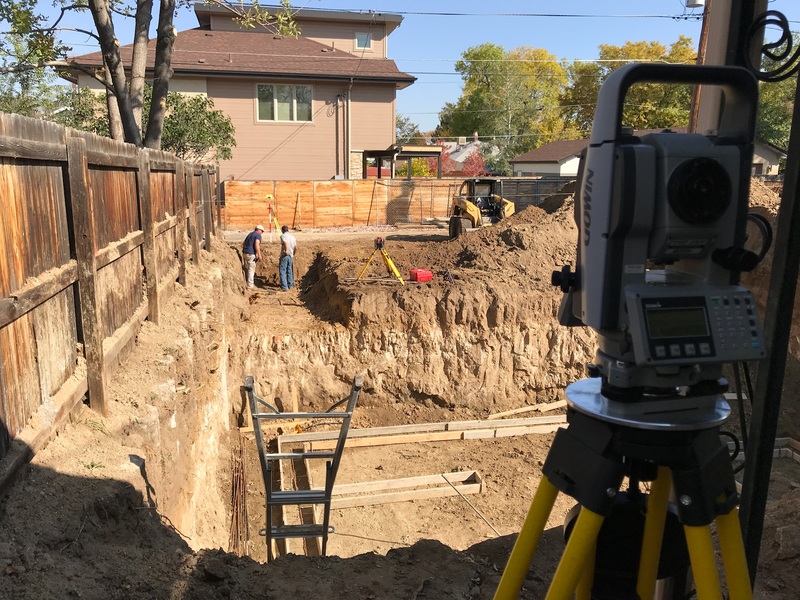 Excavation has been a long process because of Denver’s abnormally wet fall weather and the limiting size of our lot. All the rain and an early October snowfall left the soils saturated which you can imagine is less than ideal for a skid steer bobcat. Its difficult to move heavy dirt around and even more difficult to navigate up a steep ramp on muddy ground. Hence the delay between weather events as we waited for the site to dry out. Another limiting factor has been the amount of cut dirt that we have had to truck away (15 truck loads). Also, because our site is so constrained there is little room to store dirt that we will later backfill when the basement walls are formed. Luckily we have great neighbors that let us store a pile in their yard for a couple weeks. Its amazing how smooth the process goes when Scott is on site with all of his survey equipment. He’s able to seamlessly set grades and communicate footing corner locations to the contractor without skipping a beat! 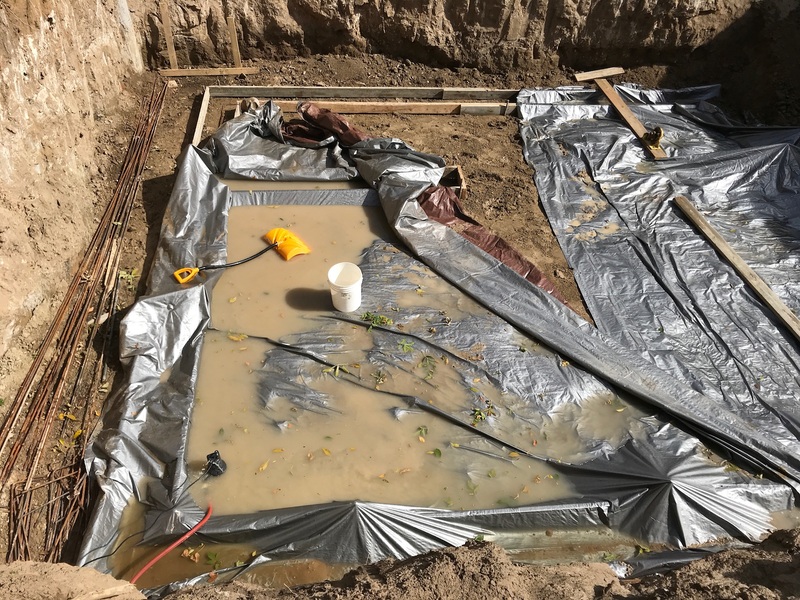 Before the snowfall event we draped the basement forms with tarps to keep the ground dry and later came back and pumped the water out. Check out time lapse video showing the remaining excavation work and the laying out of footing forms for the basement and future garage and mud room on the first floor.